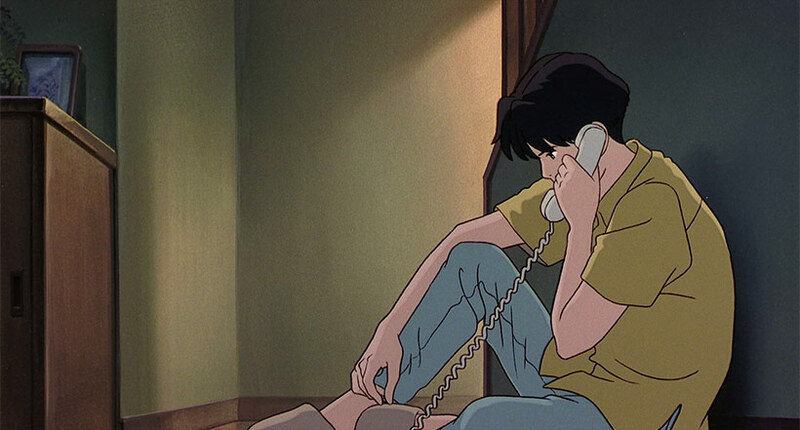 Ocean Waves marked the first time in Studio Ghibli’s history where the directorial duties were handed over to someone other than co-founders Hayao Miyazaki or Isao Takahata back in 1993. With Madman’s recent blu-ray release in hand, let’s dive into this interesting experiment in Ghibli’s back catalogue. Ocean Waves treads somewhat familiar ground by telling the story of an awkward teenage love triangle set in the city of Kochi. It’s explored retrospectively from Taku’s perspective, a typically average high schooler who has grown up in Kochi his entire life. Being from a more regional area, the arrival of Rikako from the big city (Tokyo) caused more than a ripple amongst the students, including Taku. Things get interesting when Taku’s best friend, Yutaka, confesses he’s enamoured with Rikako but doesn’t have any luck with getting his feelings reciprocated. Despite Taku finding Rikako’s arrogance grating, while away on their school trip he ends up lending her money which triggers a series of critical events, eventually sees him taking an impromptu trip with her back to Tokyo so Rikako can have a surprise visit her recently divorced father. This goes down poorly both at the time and back at school with a whirlwind of gossip about the trip despite Taku being firmly placed in the awkward friendship zone. Things come to a head when Taku and Yutaka quarrel with everyone eventually going their separate ways once school’s over. The narrative drives two years after graduation to the present with Taku attending his high school reunion and all the reminiscing and flurry of emotions this brings, including the chance to clarify his feelings for Rikako. 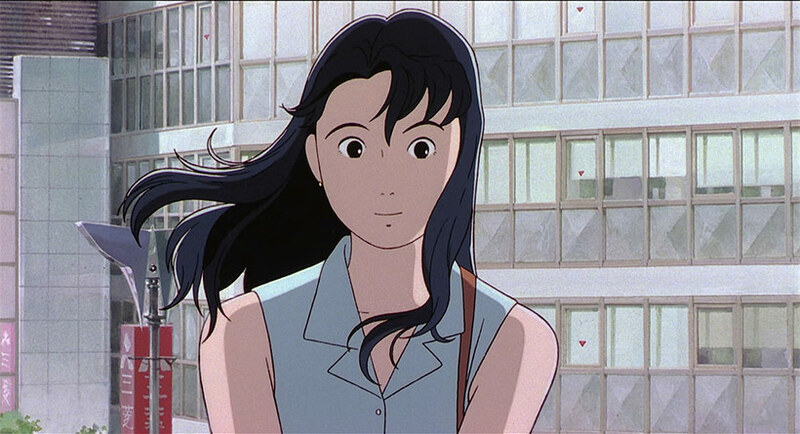 Ocean Waves is infamous for being something of a black sheep amongst Ghibli’s first decade or so of operations. 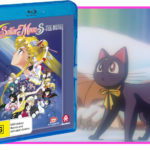 It was an experiment designed to allow the younger staff at Studio Ghibli to produce something on their own as a low cost/high quality production and was developed as part of a broadcast partnership with Nippon TV in the form of a made-for-TV movie. 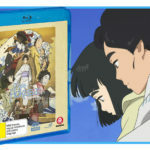 The director, Tomomi Mochizuki, was only 34 at the time, and the Ghibli staff assigned to the project was dominated by team members in their 20s or early 30s, making the subject matter somewhat relevant for their ages considering the cast. Add in the fact that it was adapted from the novel of the same name that was serialised in Animage from 1990 and it’s a very curious mix of players for this one. 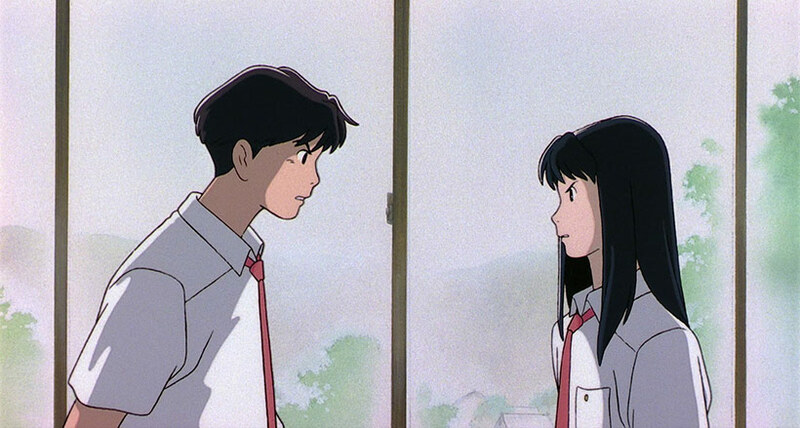 In practice this makes Ocean Waves an incredibly grounded film that is more concerned with the interplay between its main cast rather than building around something more fantastical either explicitly (like in Totoro), or more implicitly (such as Only Yesterday). In fact, it wouldn’t be until From Up on Poppy Hill that Studio Ghibli would approach anything similar to Ocean Waves which is interesting in and of itself. 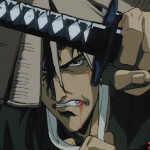 Even the more outlandish elements, such as the circumstances in which Taku finds himself travelling on a whim with Rikako to Tokyo, are handled in a believable way. Given the premise and that Ocean Waves fits the mould of a teen romance movie, this means it’s heavily reliant on its core cast. What’s interesting about the direction and script is that it does a great job of bringing out all the awkwardness and fluctuating maturity between Taku and Rikako in particular. Both will at different times illicit compassion and frustration with their behaviour – Taku allows himself to be taken advantage of before losing his cool, sometimes he has the conviction to take charge while at other times he falters and all have consequences that suit. Rikako’s impulsive, manipulative and arrogant, but you get the chance once in a while to see what’s bubbling under the surface which adds some needed dimensionality. As a viewer it’s a great journey as you float along the love/hate spectrum, but it’s delivered in a way that accurately reflects some universal experiences typical of your teenage years (with some requisite melodrama to keep idle minds engaged). The movie’s aesthetic matches the vibe – understated, detailed and animated beautifully without the outlandish flair of its predecessors. Characters are expressive without being abruptly cartoonish, and the attention to the daily grind is immersive. 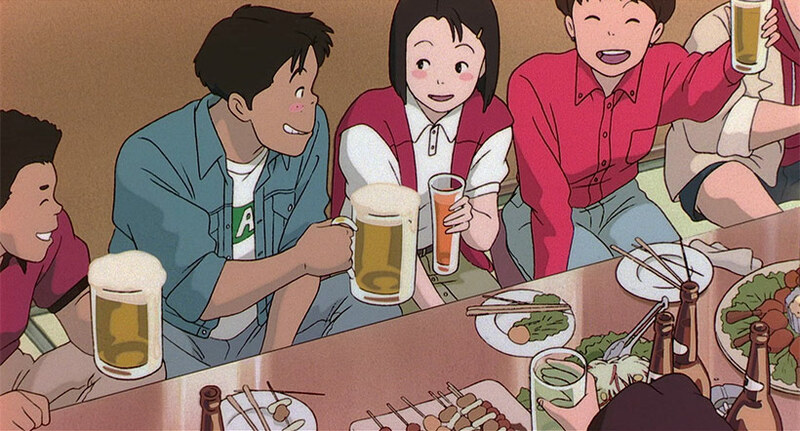 It lacks the production values of Only Yesterday’s exploration of daily life, but there’s enough effort and keen direction in there to make it great to watch. There’s an element of nostalgia built into the way Kochi is explored, and as a snapshot of Japan in the early 90s its fascinating to watch if you’ve travelled there. Beyond the movie though, this release from Madman is a little thin compared to other Ghibli productions, possibly due to it being a repressing of the UK Studio Canal release. Ocean Wave’s HD transfer remains expressive and clean, but there’s a few quirks. The volume of grain seems to be higher than what we usually see from Madman’s Ghibli releases and the subtitles have been burnt into the image. During viewing I ended up glossing over it because I was really enjoying the movie, but after checking it out and taking a closer look, it looks as though there are some interesting differences between the Studio Canal and the GKIDS US release. On a technical level, the bitrate allotted is possibly a little low given the volume of grain in the image, resulting in some fine macroblocking throughout the film. The fact we have burnt-in subtitles in itself is also a bit odd too. 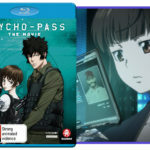 it’s been many years since I’ve seen this, and again – given we have a re-pressing of Studio Canal’s UK release, this is likely an extension of their lack of knowledge around what anime fans typically expect since the move to soft subtitles on DVD nearly 20 years ago changed up and set the current standards. Some of this may be entirely subjective – in the future we may do a bit of a technical deep dive, so keep your eyes peeled on our YouTube channel for future updates (don’t worry – we’ll plug it here on the main site too!). The audio seems track seems solid on this release featuring a stereo PCM track which, aside from being nice and lossless, is in Japanese only. This means if you prefer to watch your anime in English you’re out of luck, but the Japanese performance is really solid, and given this is such a grounded and Japan-centric movie, watching it in Japanese is a strong fit. There are no extras on this disc which seems odd given it notes a theatrical trailer should be present. The US release had some really interesting bonuses by the sounds of it though – again, if we do a deep technical dive on the differences between the US and Studio Canal release we’ll cover this as well. 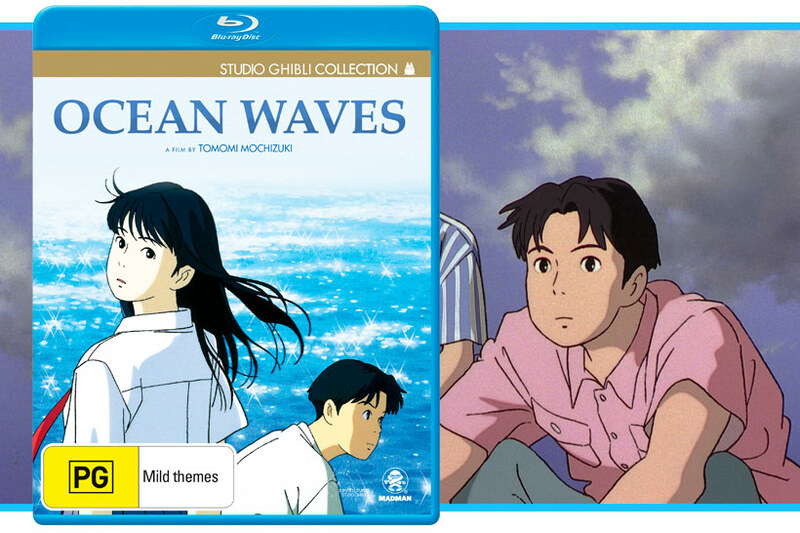 While none of the gaps in this local release of Ocean Waves is a deal-breaker (the film’s amazing regardless of any shortcomings in the Studio Canal release), I remain curious as to how the two releases would compare on a more critical level. On its own merits, Ocean Waves has earned its fans – the slice of life drama is engaging and the production values, while not up to its predecessors’ standards, provide a nuanced and rich experience. This is highly recommended if you want to see how a romantic drama can be adapted to anime and enjoy more of a measured pace to your viewing, even if we have a few gaps in the local release.